I was leaning against a wall in our house at the time, not doing anything in particular. For whatever reason, at that moment I let my mom know I was gay. It wasn’t planned. It just popped out. She gave me a hug, smiled and told me she loved me, and I went back upstairs to my room. Simple as that. I was bullied in every way imaginable, but the worst was the verbal abuse. (I was always a strong, tough and tall girl, so nobody wanted to mess with me from a physical standpoint.) It hit rock bottom when I was in seventh grade. I was in a new school with people I didn’t know, and the teasing about my height, appearance and sexuality went on nonstop, every day. People called me a dude and said there was no way I could be a woman. Some even wanted me to prove it to them. During high school and college, when we traveled for games, people would shout the same things while also using racial epithets and terrible homophobic slurs. Griner has been able to deal with such abuse because of the support she has from her mother, and other family and friends. But she knows a lot of other young people coming to terms with their sexuality don't have something like that to fall back on, and that fewer still will grow up to become professional athletes. 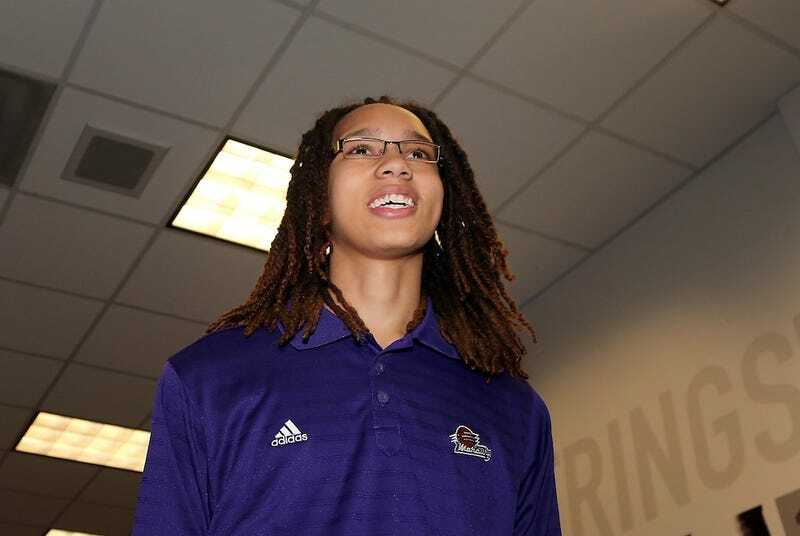 Brittney Griner has a platform now, and she fully intends to use it.